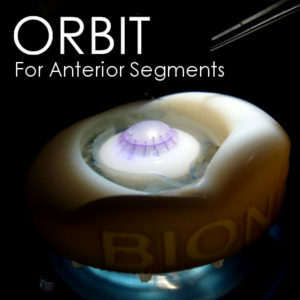 The ORBIT is an anterior holder for BIONIKO anterior segment models. It provides the user with a compact yet realistic frame of reference, including anatomical landmarks such as the brow and eye movement simulation that provide an added challenge. This platform is a compromise between the MINI HOLDER and the FLEX-ORBIT.